Friendship Man Child And Dog Pet. Theme Christmas New Year Winter Holidays. Baby Boy Crawling Learns Walk Wooden Floor Decorated Interior Of House And Best Friend Dog Breed Labrador Golden Retriever. Lizenzfreie Fotos, Bilder Und Stock Fotografie. Image 115334451. Standard-Bild - Friendship man child and dog pet. Theme Christmas New Year Winter Holidays. Baby boy crawling learns walk wooden floor decorated interior of house and best friend dog breed Labrador golden retriever. Friendship man child and dog pet. Theme Christmas New Year Winter Holidays. 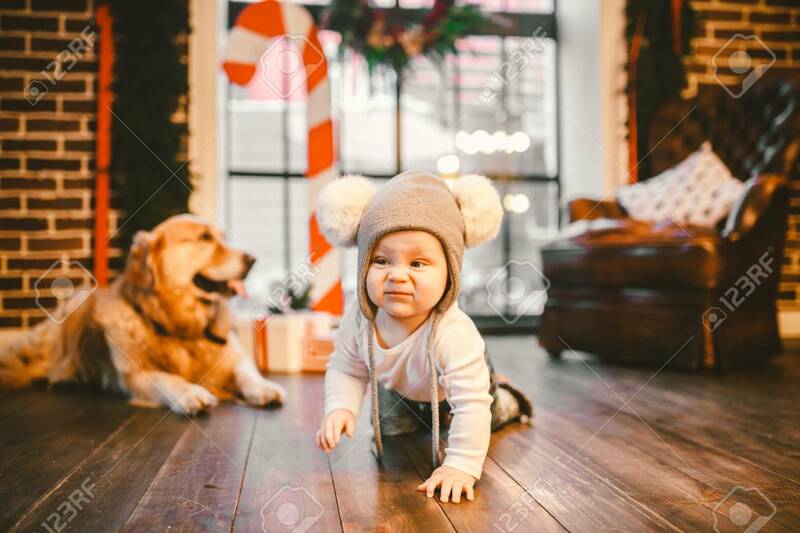 Baby boy crawling learns walk wooden floor decorated interior of house and best friend dog breed Labrador golden retriever.